« Puck Off! Podcast | Author Howard Shapiro! Jim Krenn recorded this episode at the Center for Media Innovation at Point Park University, downtown Pittsburgh. Behind the Scenes: “No Restrictions” producer & Point Park alumni Wayne Weil (left) with student production assistant Christopher Barner (center) while CMI director Andy Conte (right) talks to Jim Krenn. This episode was recorded at Point Park University’s Center for Media Innovation. 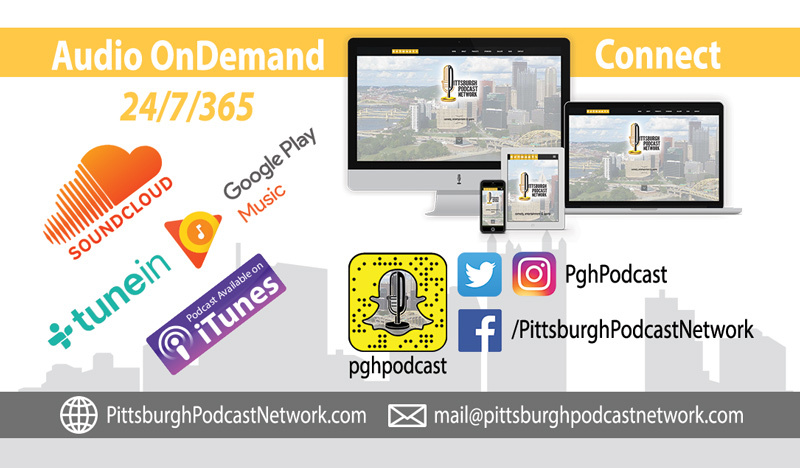 Special Thanks to Chelsea Pompeani and Andrew Conte for coordinating the studio time and the partnership between Pittsburgh Podcast Network and the Center for Media Innovation. Extra Special Thanks to our student production assistants at Point Park University, Christopher Barner and Luke Zotolla.